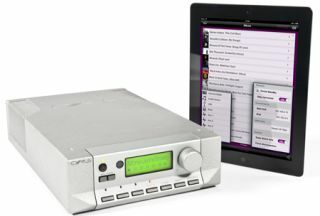 Cyrus launches Cadence remote control app for iPad | What Hi-Fi? Cyrus Audio has launched a bespoke new iOS app called Cadence, allowing remote control of the Cyrus family of streaming products. The Cadence app will allow users to see networked music and have standard remote control functionality of Cyrus products, such as the Streamline 2 and Stream XP2-QX. Furthemore, you can change inputs, browse other devices on your network and control multiple Cyrus products. Being a bespoke app, Cadence promises far wider control than third-party apps, being able to 'pull' rather than simply 'push' content from your networked music library. As a result, more functions for the app are promised over the coming months. Having taken more than 10,000 man hours to develop, the new app is a major investment for Cyrus, with the software platform set to become the key control system for future products. Cyrus says Cadence is designed "to compliment rather than replace" the existing n-remote app and offers similar remote functionality, though n-remote has the added ability to learn IR remote codes for other devices. We look forward to seeing how they compare. The Cyrus Audio Cadence app is available now for the iPad, compatible with iOS 5.0 and above. It's free from the Apple App Store. Versions for iPhone and iPod Touch, plus an Android app, are promised to follow.